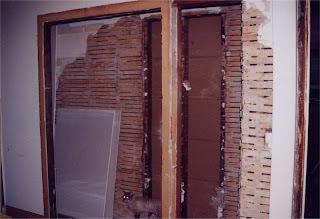 I googled the art of slats and plaster and this is what I found. 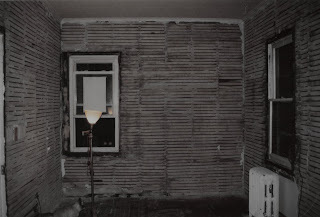 Plaster and lath was the method craftsmen used in the early 1900s and before that to construct interior walls. 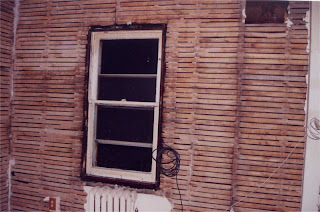 Plaster was mixed by hand and spread over the lath--wooden oak slats nailed close together that held the plaster in place. Old houses were all constructed this way. Master craftsmen working on old houses used plaster and lath to construct all interior walls. Plaster walls were smooth and silky, and when cured were paintable. Plasterers were skilled craftsmen who worked long hours perfecting interior walls. Plaster and lath walls took 30 days to cure, although craftsmen advised waiting a period of a year before painting. For this reason, many homeowners chose to wallpaper their walls so as not to ruin the plaster work by painting too early. Plastering involved placing three layers on top of the other. The first coat stuck to the oak strips and was called scratch coat, which was troweled carefully into the lath to form a bond. The second coat was called brown coat, then a finish coat was applied thickly and pressed firmly to form a half-inch wall of silky-smooth lime plaster. Buy slat wall display, we are one of the most popular slat wall display manufacturer and exporter for your stores and homes in Delhi (India). supermarket racks- Adequatesteel one of the leading slat wall display suppliers delhi and deal in all kinds of supermarket racks like , SuperMarket Storage Rack, Storage Rack, Retail Store Display Racks. Unitechindia committed to design, manufacture, install and maintain infrastructure and interior solutions using good skill, quality raw materials, effective people and above all, prompt delivery to excel in all parameters of customer satisfaction. Unitechindia is manufacturer, suppliers and exporters of Supermarket racks, display racks, Departmental store racks, Showroom Fitting, Garment Shelving Racks, Garment Fixtures, Supermarket Gondolas, Supermarket shopping trolley and Checkout Counter. Unitechindia is manufacturing, supplying all kind of Super Market Display Racks as well as Library and Magazine Racks. We are having latest designs of Racks including Steel Racks, Pallet Racks and all kind of Racks as per your store requirements. Unitechindia deals in manufacturing and supplying supermarket shelf such as library shelf library book shelf, glass library shelf, book storage shelf, corrosion resistant book shelf and decorative book shelf. Uni Tech is a manufacturers, suppliers and exporters of Rack, Racks, Store Fixtures, Retail Store Fixtures, Retail Rack Accessories and Retail Store Fixture in Bangalore, India. M sand is superior quality, engineered crushed stone sand which is highly suitable for construction. M sand comes in two types for concrete and plastering. We purchased our first home in June of 1995. We began renovation on October of 2005. 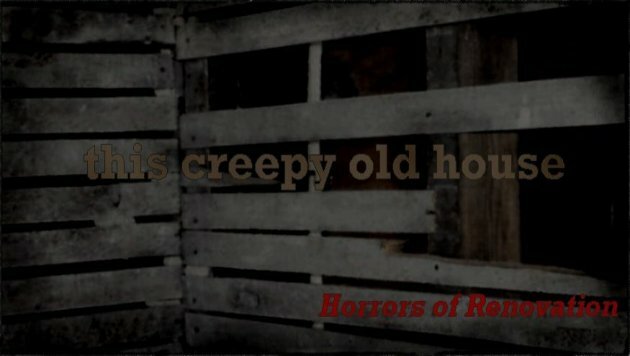 The renovation still continues...These are the life lessons of the Horrors of Renovating an old creepy house.